Small and effective. 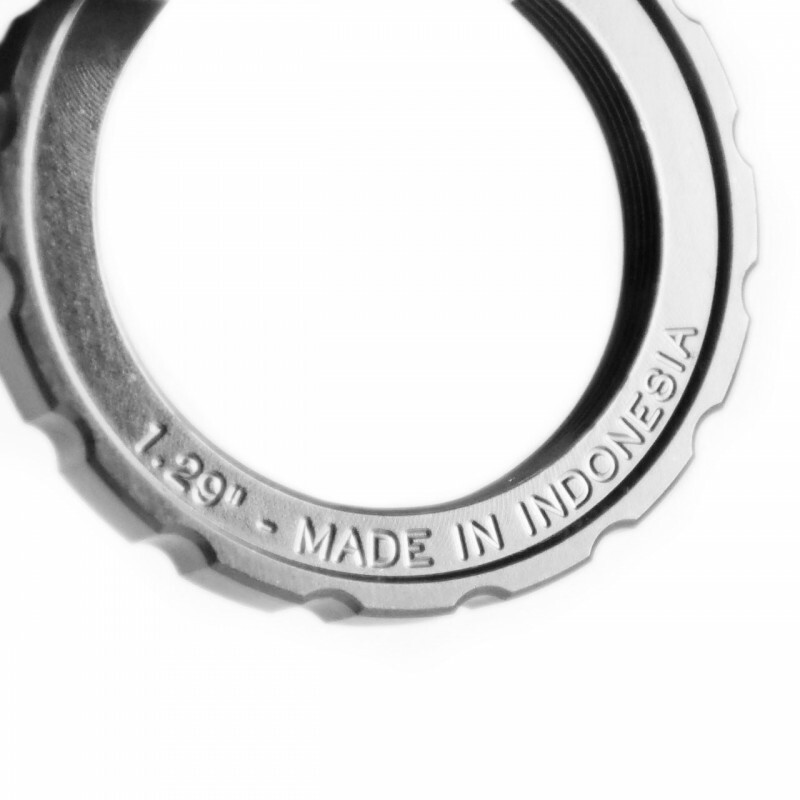 That's the reason behind the weapon name we give to this aluminium lockring. 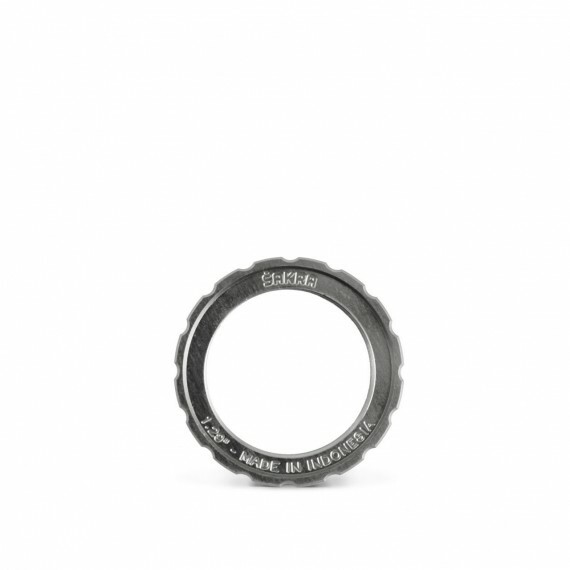 Made to fit Shimano external bottom bracket tool for ease in installation, now you can say goodbye to bruised knuckles. Available in 1.29" threading for common track hubs, or 1.32" to fit Campagnolo, Phil Wood, Miche, or Mack hubs.